Fáilte Ireland has launched a pilot Culinary Programme for up to 200 participants to allow them to successfully enter the tourism industry with the prospect of a culinary career. The successful participants will have the option at a later stage to progress on to a newly developed ‘Chef’s Apprenticeship Programme’. 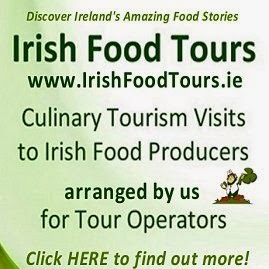 - See more on the Failte Ireland Website Here. The course will commence week beginning the 14th December and will finish early March. To apply please forward an up to date CV via email to info@justcooking.ie or post to Just Cooking, Killahane, Firies, Killarney, Co. Kerry. Interviewing all interested parties early next week. Our start day 11th December - Induction Day. 14th December - 17th December Week 1. Restart January 4th January. To register for the programme please complete form. Please return completed application forms by post to, St. Angela's College, Lough Gill, Sligo / by email to vhogg@stangelas.nuigalway.ie. 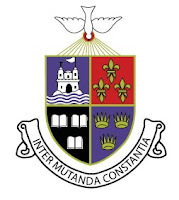 If you have any queries please phone Vanessa at 071 9143580. WIN an amazing Christmas Hamper from Hampers & Co.
Hampers & Co. is a Luxury online Hamper & Gift retailer set up by Emer Purcell. They ship their hampers all over the world. For over 21 years, they've sourced, designed, packaged and delivered beautifully presented hampers of exceptional quality for both individual orders & Corporate clients. Read on to find out how you can Win a Christmas Hamper from Hampers & Co. that will be delivered in time for Christmas Day, anywhere in Ireland or the UK! Emer and her team work very closely with their producers to create a wonderful selection of Irish Food Hampers & Gift Baskets. 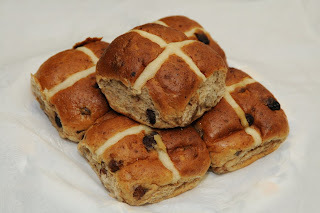 On their website www.HampersAndCo.com you will also find great Irish cheeses, delicious Irish chocolates, superior Irish relishes & preserves & melt in the mouth Irish cakes & biscuits. They source their wines directly from boutique vineyards so they won’t be found on any supermarket shelf. 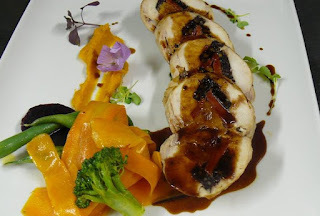 They also take time and considerable care when combining foods & culinary gifts & only use products that they feel will be enjoyed by the recipients. Hampers & Co. source all their products from exceptional, award-winning and high quality Irish Artisan food Producers and from small indigenous international food suppliers. They also use eco-friendly biodegradable packaging which can even be washed down the sink! So whatever the reason for giving a gift – business, baby, birthday, anniversary or just because, they guarantee to provide a gift or hamper that will be remembered and very much appreciated. 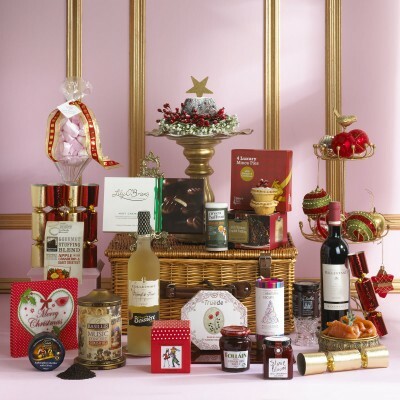 If you're ordering a hamper on behalf of your company, it is nice to know that when you “Create Your Own” bespoke Hamper or Gift to your unique requirements, there’s no danger of your clients or staff receiving the same gift from another source, or in the following year, or at the next conference event! WIN this amazing Christmas Hamper from Hampers & Co.
Emer, at Hampers & Co. has given us a wonderful Christmas Hamper to give away here on the Irish Food Guide Blog and they will deliver it anywhere in Ireland and the UK. To Enter the Draw Click the Hampers & Co. Facebook Like button and/or their Twitter Follow button below and tell Emer how much you'd like to Win the Christmas Hamper. 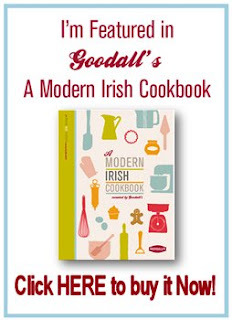 This Draw is also being run on the Irish Food Guide Twitter - Enter by Re-Tweeting the Competition Tweet. This Draw will take place on Sunday 13 December and the winner will receive the prize of the Christmas Hamper delivered by Hampers & Co. in time for Christmas Day! "Chestnuts Roasting on an Open Fire". Those immortal words from the famous Nat King Cole song always pop up around the middle of November and indicate the beginning of the build-up to the Christmas season and all that goes with it! In Ireland we don't really have a tradition of eating roasted chestnuts, but like everything else, the world is becoming a smaller place and we can now get our hands on anything, if you really want it. 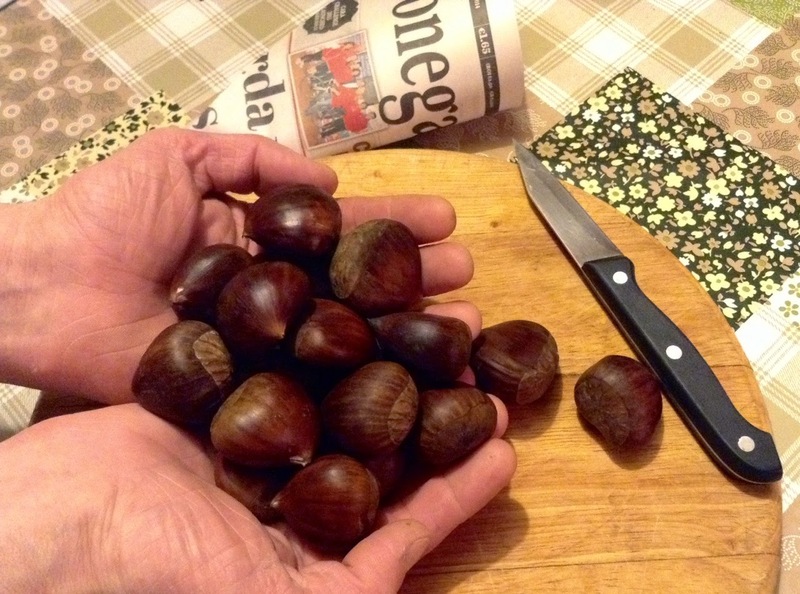 Edible chestnuts do not grow in Ireland. Most of the chestnuts that are eaten around the world are imported from Japan, China, Spain, and Italy. They are known as 'Marrons' in France. 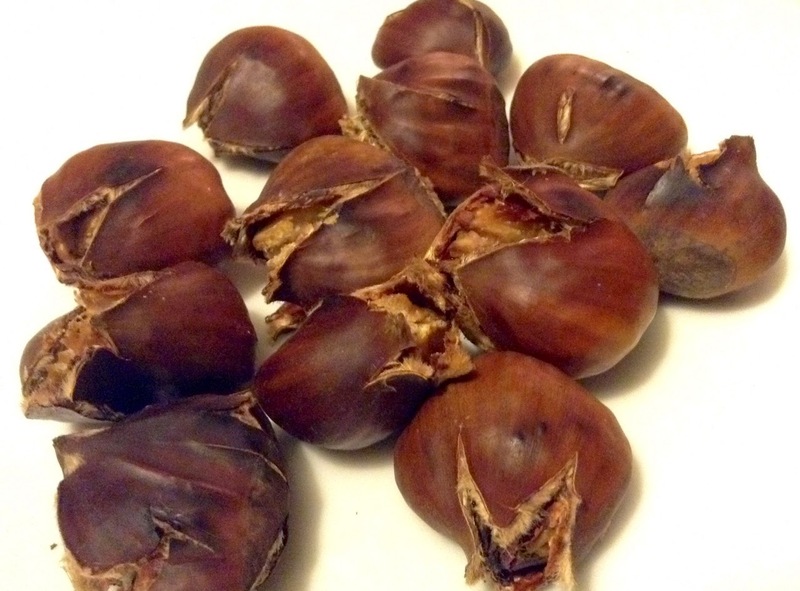 I got my local veg-man to get me a bag of sweet chestnuts to try out and did some research on how to cook them. They taste different from what you'll expect and also, don't be disappointed if many of them break up when you're taking them out of the shell - that's happens in real life! 1. 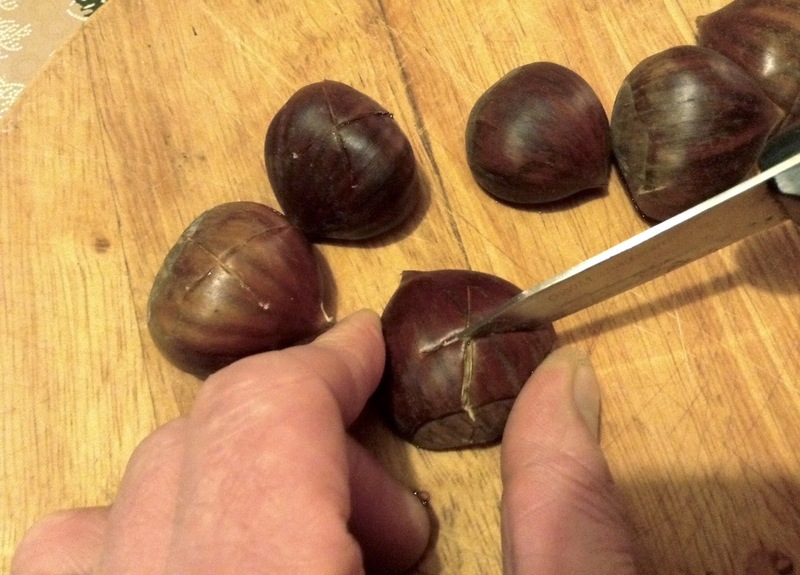 Using a small, sharp pointed knife, cut a cross into the flat-side skin of each Chestnut. This helps to prevent the chestnut from exploding while cooking. 2. Drop them into cold water, to soak, for 15 minutes. This helps them steam and stay moist. 3. Place the Chestnuts on a roasting tin, cut side up and bake until the skin splits open and the inside is tender, about 20 minutes. 4. 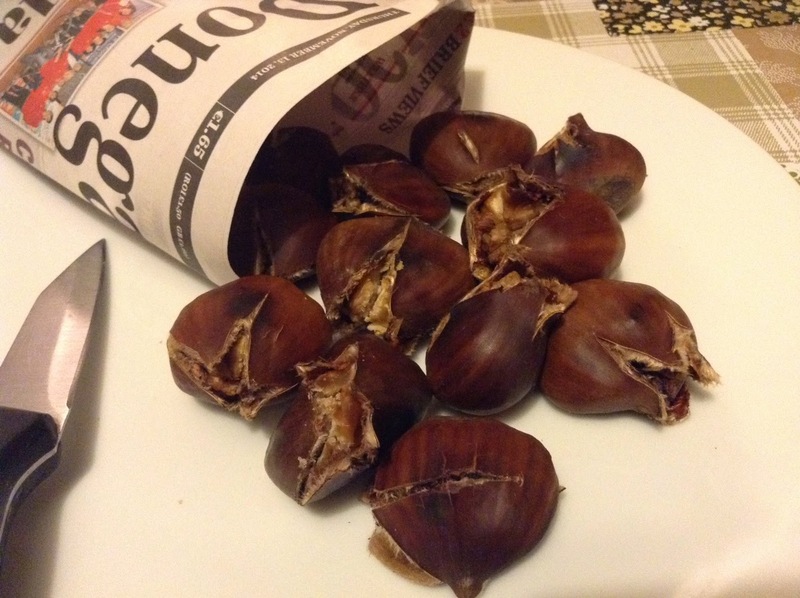 Put the cooked chestnuts in a dry towel and press gently to crush open the shell. Peel the shell back and eat them straight away! If they start to get cold they become very hard to peel. Only a few of mine came out looking perfect and that was because I peeled some very carefully! 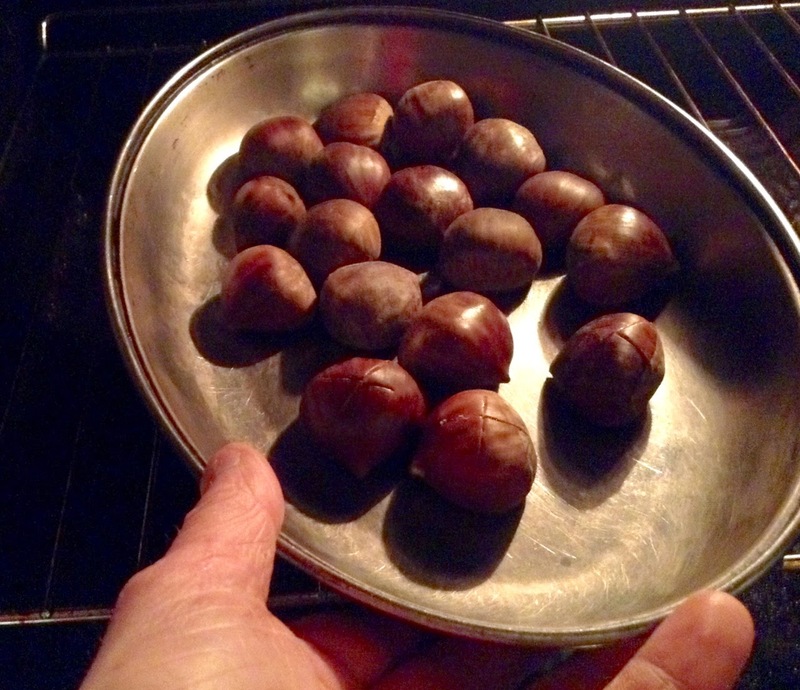 You can pop the chestnuts back into the oven and warm them up a little again, to help peel them. You can serve them out in paper bags or newspaper cones if you wish. 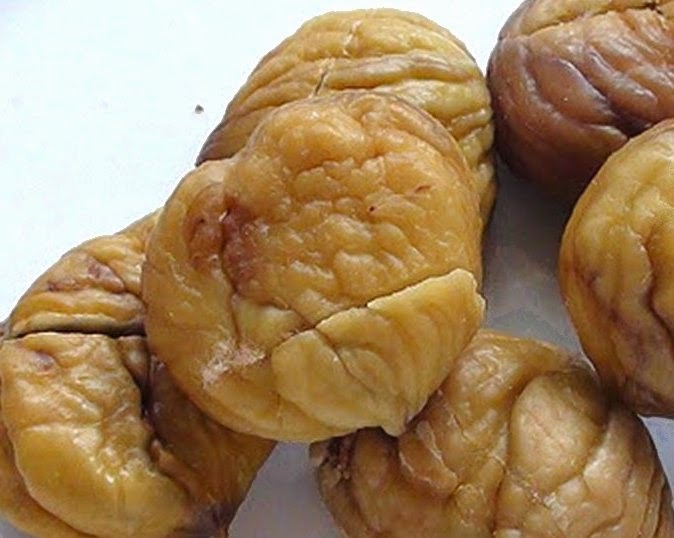 You can also boil chestnuts for 15 minutes and peel them before you add them into your Christmas Stuffing. Give them a go either way! Now in their 8th year, the Blas na hEireann (which means Taste of Ireland) Irish Food Awards is the biggest competition for quality Irish produce on the island of Ireland. Over 2500 products have been entered into this year’s competition to win Gold, Silver and Bronze Awards in over 90 food and drink categories as well as key awards such as Supreme Champion and Best Artisan Producer. A Blas na hEireann accreditation has been researched to show the highest recognition amongst Irish consumers and using the award logo on product packs really does encourage shoppers to buy these great products. It is a guarantee of a top quality Irish product. Blas na hEireann takes place annually on the first weekend in October, 1st – 4th October 2015. 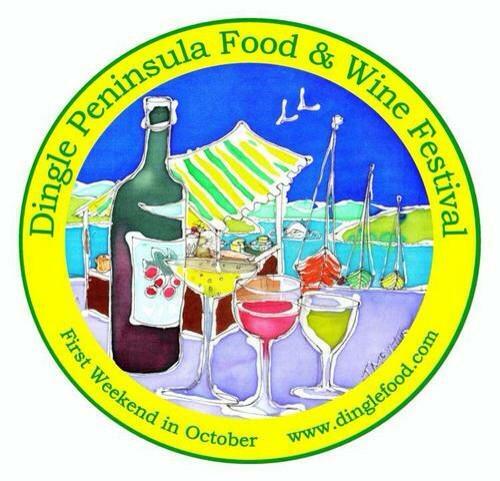 Set against the backdrop of the Dingle Peninsula Food Festival the awards and events throughout the weekend are a fantastic opportunity to meet with producers, trade and press. The Blas Awards and the Dingle Peninsula Food Festival is an event which has grown to be one of the most recognised and well attended food events in Ireland. In the past few years the first weekend in October has become a critical date in the food industry’s calendar. in 2014 this Irish Food Networking event was attended by over 200 producers with buyers and press from all over Ireland, the UK & US! Most importantly, the Blas na hEireann awards and the Dingle Food Festival have retained a sense of informality while becoming a key business event. There is a real sense of the pressure that the food producers are under when you attend the awards ceremony. Everyone in the room knows that winning a Blas na hEireann Award, whether it is Gold, Silver or Bronze, can help launch a new product and boost sales of an existing line. And that is what awards the Blas are all about - helping passionate people with wonderful food products to reach new customers. 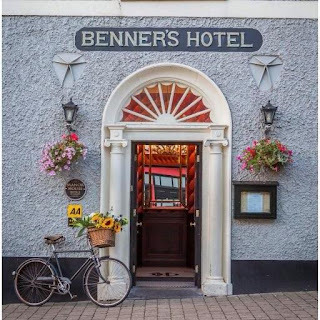 I'm delighted to have been asked to be one of the Finalists Judges again this year and I write this as I sit in the Dingle Benner Hotel. If you're coming down to Dingle for the Blas na hEireann Awards and/or the Dingle Peninsula Food Festival, do try to get around as much of it as you can, if you can! 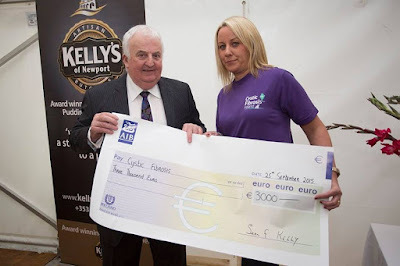 The affable Cavan chef has been a longstanding supporter of Kelly’s Butchers and their products. The new manufacturing unit represents an investment of €1 million. 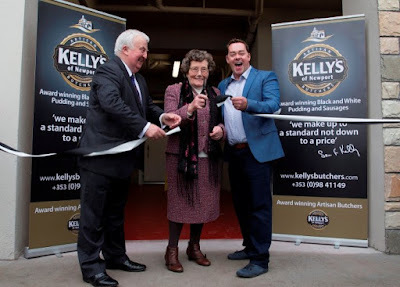 It trebles the capacity of the previous facility and leaves Kelly’s Butchers poised to sell into new and bigger markets both at home and abroad. The Kelly family would like to thank South West Mayo Development Company and Mayo LEO for supporting this expansion project. 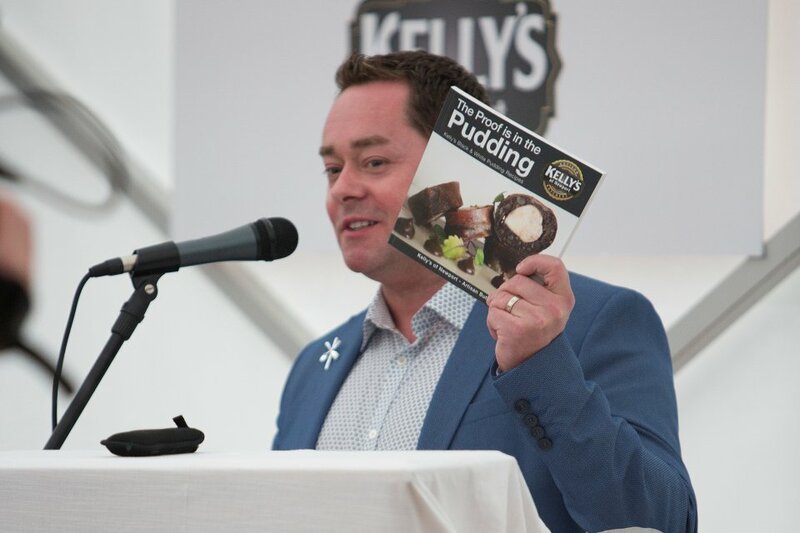 “I’ve used Kelly’s puddings not only in my restaurant but all over the world from Dubai to the USA", said Neven Maguire, speaking in the very appropriately black and white themed marquee, “I love their consistency and their quality – you can taste the passion the Kellys put into their food. Through that they’ve put Newport, Mayo and Ireland on the map and I’m delighted to be here today to celebrate with them." The ribbon on the new manufacturing facility was cut by Seán’s mother-in-law, 95 year old Mamie Marley, ably assisted by Neven Maguire. The new facility will be used to manufacture Kelly’s award winning puddings and sausages. 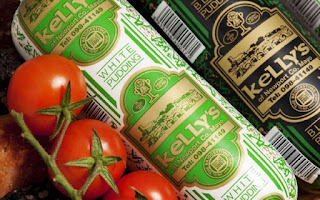 It will hugely increase the manufacturing capacity and will allow Kelly’s to supply customers all over the island of Ireland as well as the UK market. Kelly’s are already supplying customers in major UK cities, and are now able to respond to the increasing demand. Kelly’s Butchers are a phenomenal success story in the West of Ireland; their turnover has increased steadily year on year and this is expected to continue into the future. Several jobs have already been created by Kelly’s Butchers and they expect to take on more staff over the next year. This will bring their employee numbers to 22. Indeed Kelly’s Puddings are seen in all sorts of guises in literally every course of every meal – even in desserts. Seán Kelly has been credited as the man who took black pudding off the breakfast table and put it on the dinner table. Kelly’s Butchers produce and sell award winning black and white puddings and six varieties of speciality sausages. 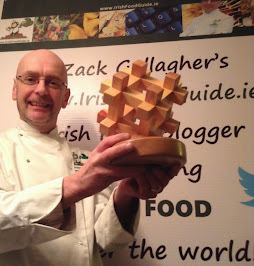 Awards include Blás na hÉireann, Great Taste Awards, Business Achievers Award and many butchers’ awards. 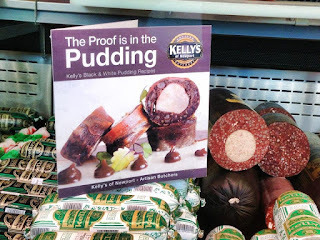 Kellys also manufacture the ‘Putóg’, a traditional farmhouse black pudding. Kelly’s products are available through their shop and in hundreds of outlets around Ireland and the UK. 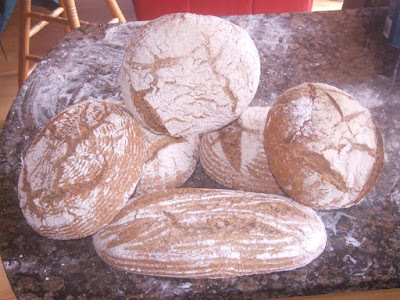 "Bake Bread For Peace has the potential to become a global movement and an international initiative made up of individuals who wish to bring peace, harmony, neighbourliness and a sense of community to those around them and to the world they live in." International Bake Bread for Peace Day was born out of a passion for humanity, in 2014, by a Baker and Storyteller from Glenties, Co. Donegal, named Breezy Kelly. The aim of Bake Bread for Peace is to bring people together in a celebration of everything communal and good through one of the most common and basic activities that humanity shares all over the world – Baking Bread. 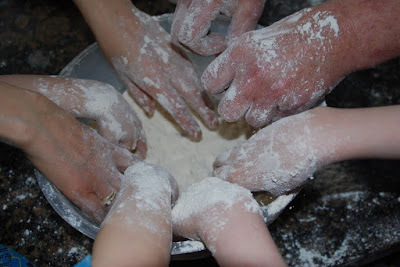 Baking bread together as a sign of peaceful intentions is a world-wide costume, common to cultures around the globe and it is the main aim of Bake Bread for Peace to bring the costume into communities and to strengthen it where already present. “What must you break apart in order to bring a family close together? Bread of course.” - Jodi Picoult, Storyteller. "We are all at a loss for words to describe our sadness about the dis-ease in the world at present and things seem to be going from bad to worse", said Breezy. "We hear talks of ceasefire, talks, talks and more talks but the madness goes on. The world wide chaos is so terrible that we try to ignore it, bury our heads in the sand and hope that it will go away, we feel helpless that there seems to be nothing we can do and yet we want to do something." Breaking Bread together is a universal sign of peace, it is something we can do together, no blaming, no making anyone right or wrong, just baking and sharing bread to reach out in peace and for peace. Together we can make a difference. 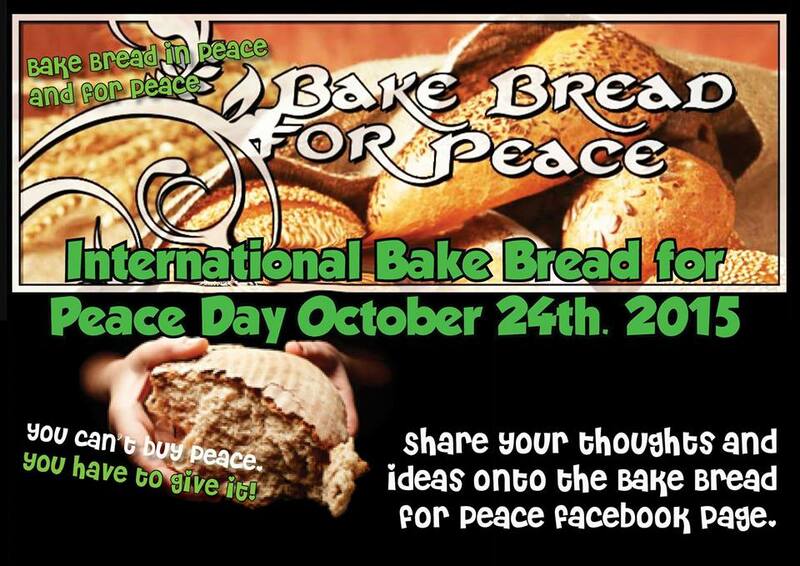 Join in on October 24th for "International Bake Bread for Peace Day", get your thinking hats on, create an event in your area, in your kitchen, in your local school, it's up to you. Share your ideas, send photos, advertise your events, spread the word far and wide that we want Peace! Bake Bread for Peace is not an organization, it does not raise funds, it does not have a CEO, managers, or accountants. It is solely based on people taking the initiative and creating events in their own locality. It is based on communication and creative thinking shared between individuals across the world that have the same aim – to bring people together and share their love for Baking Bread and for Peace. Breezy Kelly (aka Breezy Willow) is a native of Glenties in Co. Donegal. 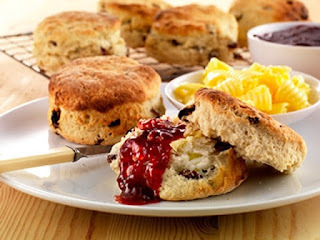 She has been involved in promoting the ancient tradition of home-baking for over 15 years. For over a decade she was included in the Heritage in Schools scheme which is run by the Heritage council and the I.N.T.O. Breezy comes from a background where traditions were very important and it was her realisation that these traditions are fast disappearing that prompted her to launch “Sillybucks”, a project whose aim is to collect and record stories, songs, recipes and cooking methods of days gone by. In 2006 she published a collection of traditional recipes – “Bread, Scones, Stories & Songs” – which is now in the process of its 3rd print. In 2013 she was involved in organizing and facilitating ‘Born and Bread’ project, as part of the ‘One Donegal Cultural Diversity Month’. Breezy came up with the idea for “Bake Bread for Peace” in 2014 and on October 24th of the same year she organized the first “Bake Bread for Peace” day. 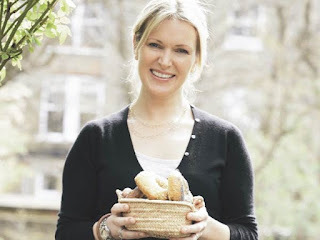 Working mainly through social-media, she encouraged countless individuals, in Ireland and abroad, to share their wishes for world-Peace and bring their neighbours and communities together through the ancient and Peaceful activity of baking Bread together. 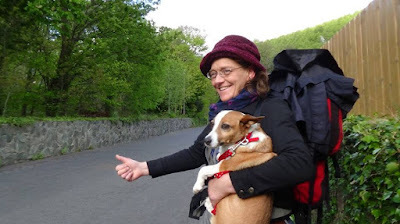 During 2015 Breezy, along with her wee dog Sheila, a bag of bread soda and a tub of Bextartar has taken to the roads of Ireland, north and south, to share the idea of Bake Bread for Peace. During her journey she was hosted by various individuals and families and wherever she stayed she organized an evening of baking, songs and stories, encouraging her hosts to invite family and friends and to turn the evening into a celebration of Peace, unity and neighbourliness. 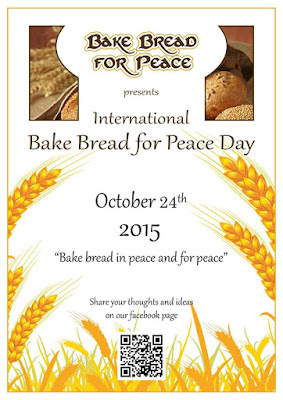 Breezy believes that although Bake Bread for Peace Day is now becoming an established date in many individual calendars, it is in fact an ongoing, year-long event. "It is a philosophy, a universal wish, an urge to make a positive change in the world that we are all invited and welcome to take part in." Breezy wishes to encourage those who wish to organize an evening of Baking, Songs & Stories to contact her. She believes, "Think globally – Act locally, Peace begins at home. All that is required is an invitation, and baking ingredients. Together we can create an evening of Bread, Scones, Stories & Songs and most importantly, Peace and neighbourliness". From 4th – 10th October 2015, National Bread Week will be calling on the nation to ‘Love Your Loaf’ and celebrate one of Ireland’s favourite foods – Bread! The week is organised by Ireland’s bakers, who make the fantastic range of great tasting breads for us to enjoy every day. Whatever kind of loaf you prefer, be it Soda Bread, Sour Dough, Batch Loaf, Fruit Bracks or simply Sliced Pan – Irish Bread has so much to offer and is arguably the best in the world! The week-long celebration, which is being supported by TV chef and author Rachel Allen, will highlight the heritage, value and versatility of bread, and dispel some of the myths about breads. 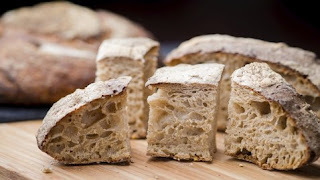 Irish bread is steeped in history and tradition and has been part of our culture for hundreds of years and is definitely something we should all be proud of. To find out more about Irish Bread and National Bread Week visit www.nationalbreadweek.ie. There you will find a host of information all about bread as well as details of participating bakeries around the country. Make sure you join in and Love Your Loaf this autumn! 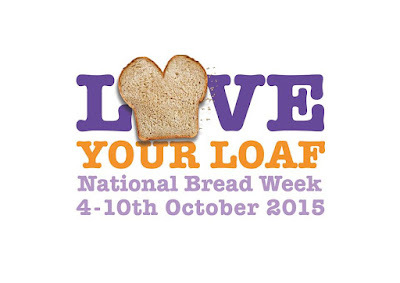 Follow the campaign on Twitter @loveyourloaf and like them at www.facebook.com/nationalbreadweek. The Rockwell Hotel and Catering School, which had a major influence on traditional cooking and service in Ireland, is holding a Reunion for past students on Sunday 11th Oct 2015. Rockwell was world renowned for training and turned out some of Ireland’s best chefs and waiters, many of whom work in top restaurants around the world today. 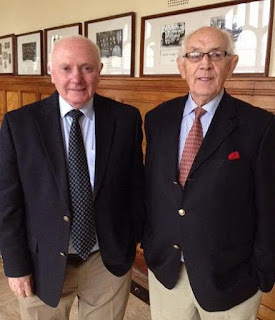 The Catering College began in 1958 under the auspices of Bord Failte Eireann and was run by Mr. Jimmy Kelly. Well-known past pupils include Martin Shanahan, TV chef and proprietor of Fishy Fishy in Kinsale Cork, Eugene McSweeney, a well-known industry consultant who resides in Kilkenny, Ed Cooney, Executive Chef at The 5 in the Merrion Hotel, Steven McNally, Deputy CEO at the Dalata Hotel Group and President of the Irish Hotels Federation, Noel Cunningham, Media personality and General Manager at Harvey’s Point, Paul Carty, MD at Diageo and Chair of Irish Tourism Confederation (ITIC). Mr. Pat Cronin, who was one of the first students and the last Manager of the Catering School after being at the helm for almost 15 years, said, “Rockwell had a major influence on traditional cooking and service over its 25 year history the hotel and catering industry in Ireland, and it’s legacy is still lives on as past pupils continue to make a major impact on the National and global Hospitality business. It is a sadder place without the Rockwell student”. Steven McNally, Ed Cooney, Martin Shanahan, Noel Cunningham and Paul Carty. 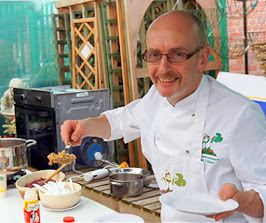 Former pupils will be travelling from all over Ireland and further afield for the event – one chef Padraig Molloy is even coming in from Antarctica. The evening, which is in aid of local charity, will commence with mass at 7pm in the hotel, followed by a drinks reception, 4 course dinner and music to follow. 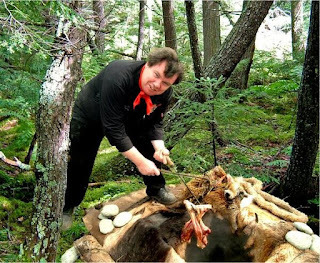 The organisers also looking for old photos or memorabilia of Rockwell and another of their famous past students, Rory Morahan, The Druid Chef, is putting together a collection for all to see on the night. The Reunion will be held in the 4-star Landmark Hotel, located in the heart of the beautiful riverside town of Carrick-On-Shannon, Co. Leitrim. The hotel is owned by Ciaran Kelly, a past student of the Rockwell Catering School. I went to Killybegs Catering College so I won't be joining you but have a great evening! Get your Hands on a new copy of "All in the Cooking"
For many decades, All in the Cooking was the go-to book for anyone studying Domestic Science/Home Economics in secondary school. 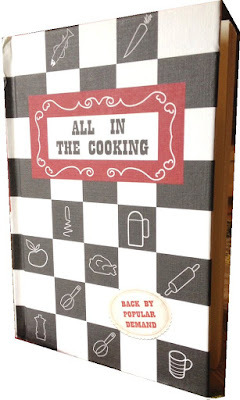 First published in 1946, even today it is an absolute gem to add to any cookbook collection, where you can relearn all the classic recipes you perfected as a teenager. From classic sweet puddings to savoury sauces, a myriad of potato preparations to special “invalid cookery” dishes and the list goes on and don't forget that simply delicious old fashioned “Queen of Puddings” recipe! O'Brien Press and Edco (The Educational Company of Ireland) have decided to re-publish this old cooking jem on the 7th September and it will make a wonderful addition to any cookbook collection! With a natural emphasis on local ingredients, All in the Cooking covers everything a home cook could want to make - from soups and sauces to fish and meat dishes, breads, cakes and desserts – and offers invaluable instructions for handling ingredients, organising a kitchen and planning meals. I've got my new copy and You can Pre-Order your copy now at www.obrien.ie/all-in-the-cooking but you better hurry up, I hear they're selling out very fast! Applications are being sought for a new fully funded programme aimed at providing early stage female entrepreneurs living in rural Ireland with the knowledge, support and networking opportunities to advance the development of their businesses. 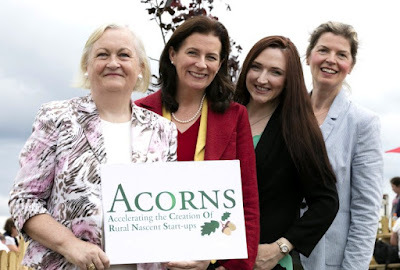 Entitled ACORNS - Accelerating the Creation Of Rural Nascent Start-ups - the programme is focused on unleashing the potential of female entrepreneurs living in rural Ireland who have recently started a business or who have taken concrete steps towards setting up a business. ACORNS is dedicated to seeking out and assisting up to 50 start-up female entrepreneurs living in rural areas as defined by CEDRA – the Commission for the Economic Development of Rural Areas. These are all areas of the country outside the administrative city boundaries of Dublin, Cork, Galway, Limerick and Waterford. As ACORNS is fully funded under the CEDRA 2015 Rural Innovation and Development Fund through the Department of Agriculture, Food and the Marine, there is no charge for successful participants. Donegal based entrepreneur, Deirdre McGlone, has been announced as one of the Lead Entrepreneurs on the inaugural ACORNS programme. 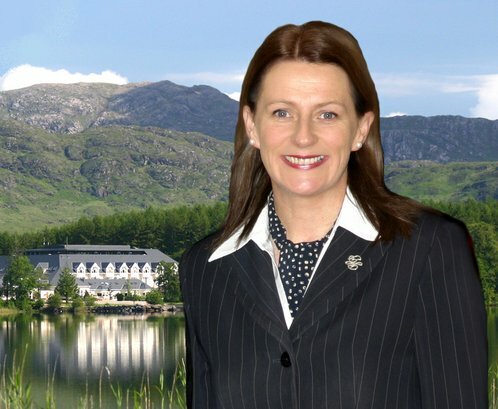 Deirdre McGlone has run Harvey’s Point Hotel located on Lough Eske, Co. Donegal for the last 26 years. Opening with 20 bedrooms, a restaurant and a small team, the hotel has seen phenomenal growth over the years. Today, the hotel boasts 64 suites and has recently launched ‘The Lodge @ Harvey’s Point’, located on the grounds of the hotel for special interest groups. In January 2015, Harvey’s Point was voted Number One Hotel in Ireland in the TripAdvisor Travellers’ Choice awards for the third successive year. The multi award winning hotel was also ranked No. 8 in Europe and No. 23 in the world. With 120 people employed in Harvey’s Point, Deirdre and her team continue to push the boundaries as an industry leader, keeping hotel standards at the highest level. To qualify for consideration, applicants must have recently set up a new business (no earlier than the 9th of July 2013), which they either own or part-own. Those who are not already trading must be actively planning a new venture and have a clear idea of what they want to achieve. If they are not already trading, activities such as organising the start-up team, looking for equipment / facilities, saving money for the start-up or writing the business plan would all be considered as active commitments to starting a business. 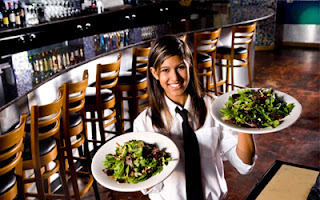 There is no restriction on the sector in which the new business is focused. However, the selection process is competitive. The deadline for applications from interested candidates is Friday 11 September and the pilot programme will begin on the 30th September, at the ACORNS residential Development Forum in Portlaoise, Co. Laois. The ACORNS initiative will consist of interactive round table sessions that are facilitated by other female entrepreneurs who have started and successfully grown businesses in rural Ireland and believe in the philosophy of entrepreneurs supporting entrepreneurs. Known as ‘Lead Entrepreneurs’, these role models will work in a voluntary capacity to facilitate monthly round table sessions with up to eight participants. These will take place once a month over six months and will address enterprise challenges and support participants to consider how best to develop and advance their early stage businesses for sustainability and growth. As past participants of another female entrepreneurship initiative – the Going for Growth programme -all of the Lead Entrepreneurs have first-hand experience of the round table peer learning approach and of its benefits. A report from the Commission for the Economic Development of Rural Areas (CEDRA) contained a recommendation that a Rural Innovation and Development Fund should be developed to support “innovative, small scale pilot initiatives that explore the diverse range of potential identified through the CEDRA process”. Minister of State for Rural Affairs, Ann Phelan TD, who is responsible for the implementation of the CEDRA Report, says that this CEDRA initiative aims to encourage a stronger level of enterprise development in rural areas and adds “Rural women’s entrepreneurship clearly represents an untapped potential and can contribute significantly to our economic growth. For many rural women, entrepreneurship is part of a broader livelihood strategy, often undertaken initially on a part-time basis. Emerging businesses need support to flourish. I am a strong believer in the value of mentors and in the importance being able to turn to experienced and trusted advisors from a variety of industries for advice and support”. Female entrepreneurs interested in applying for the ACORNS programme can access information and register their interest at www.acorns.ie. Application forms will be sent back to interested applicants immediately. Cuinneog has produced the finest quality Irish Farmhouse Country Butter and Natural Buttermilk for the past 25 years. Their butter is produced with pasteruised cream, a little salt and time. It is a true 'country' butter which gets its distinctive flavour and texture from the slow traditional production process. The cream is slowly heated and fermented, then churned in the traditional way. The butter is then shaped, cut & wrapped by hand. 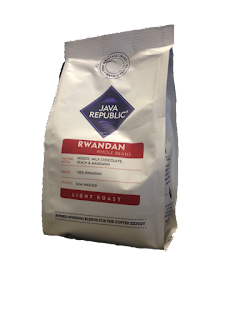 Java Republic is an independent Irish-owned company founded in 1998 by David McKernan. David set up the business to take advantage of a gap in the premium coffee market in Ireland. Their Rwandan Coffee is described as "a Light Roast Coffee with a milk chocolate and woody body. Hints of peach and mandarin give this coffee a fruity finish that is fresh on the palate". Having their own farm, abattoir and shop to sell their beef, allows James Whelan Butchers to give people that essential element of trust that consumers today require when they buy meat in-store or online. 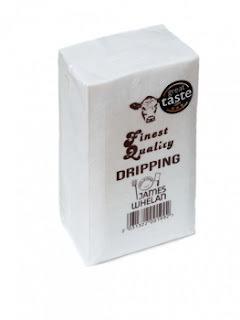 Their Beef Dripping is a great product utilizing the animal fat rendered from the beef carcass. Similar to lard, beef dripping is used in cooking and makes amazing chips and is a great alternative to goose fat for roast potatoes. With over 60 years of experience the Quinlan family have become eminent artisan producers of Organic Oak Smoked Irish Salmon. After careful preparation of the each Atlantic Salmon, they use native Irish oak wood chippings to create Organic Smoked Salmon with a truly brilliant flavour, texture and taste. 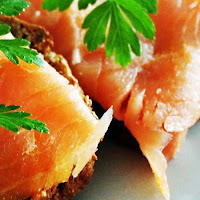 Their Organic Oak Smoked Irish Salmon has achieved a reputation amongst connoisseurs of good food for the excellence of its flavour and for its consistent quality. Quinlan's Kerry Fish use unique smoking technique extracts distinguished flavours from Salmon. This award winning tea is sourced from a single tea garden east of the Rift Valley high on the slopes of Mount Kenya. It is refined, elegant and golden with a delicate flavour. Expertly blended by their Master Blender, it’s brimming with distinctive aromas and flavours. The Fairtrade premium Bewley’s pays helps farmers to make a vital contribution to their families, local communities and the natural environment. Ballyhoura Mountain Mushroom are an Irish grower of specialist mushrooms including Shiitake, Oyster, Eryngii (King Oyster) Golden Oyster, Rose Oyster, Lions Mane "PomPom", Velvet Pioppino & Nameko. They also produce a range of award winning speciality mushroom products including Marinated Oyster & Shiitake Mushrooms, Mushroom Soups, Wild Mushroom and Oyster Mushroom Pate, the Cep Oil, Mushroom Ketchup, Mushroom Seasoning Powders & Dried Mushrooms. 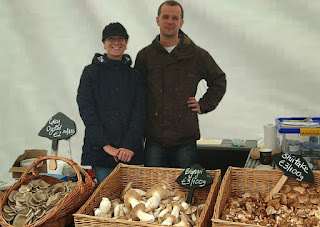 Lucy and Mark produce a great range of marinated Oyster Mushrooms, Shiitake or Eryngii Mushrooms blanched in local Irish Cider Vinegar marinated in Extra Virgin Olive Oil with chilli, garlic and fresh homegrown herbs. 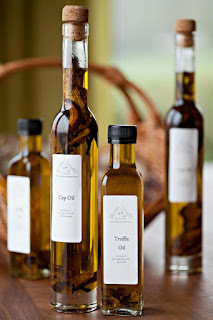 On top of that, Ballyhoura also supply a range of foraged Wild Irish Foods including Wild Mushrooms (Chanterelles, Ceps, Hedgehog, Saffron Milk Caps, Blewits, Chicken of the Woods, Hen of the Woods), Wild Garlic, Three Cornered Leek, Sorrel, Wood Sorrel, Wild Strawberries and Burdock.